notesfromapianist | Christine Stevenson's blog about piano music, those who write it and those who play it. It’s on the horizon; the countdown has begun. Next year marks Beethoven’s 250th Anniversary celebrations; in fact, the celebrations start in December 2019, promising a year of exciting concerts and events worldwide. 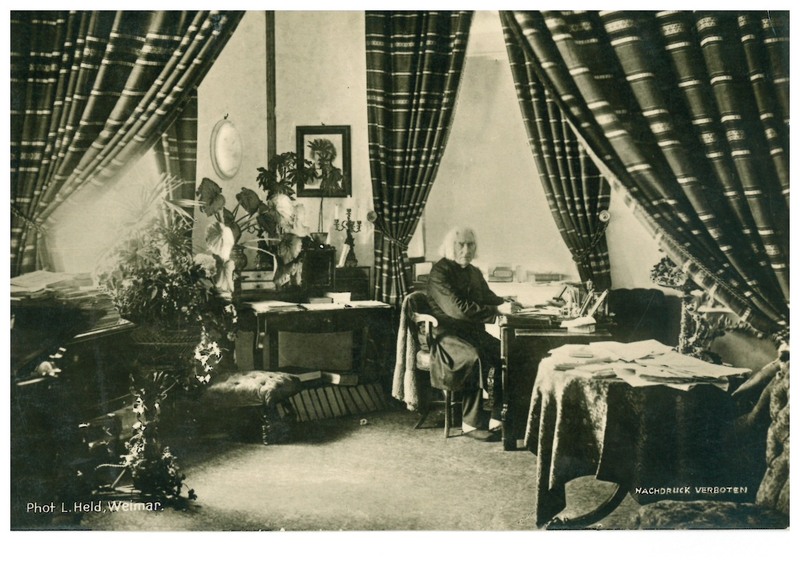 But I’m starting early, partly inspired by a photograph of Liszt taken in his Weimar study, and by my visit to that room in 2017. 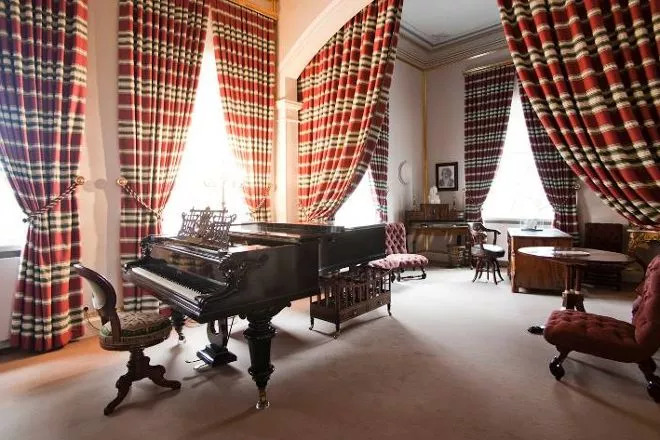 The room is unchanged since Liszt lived there, complete with pianos, furniture, and personal items, including Liszt’s conducting batons, and a pair of his spectacles – pince-nez, in fact. It’s the picture of Beethoven on the wall which has always caught my attention, and the relationship between the two composers is my starting point. They met when Liszt was a small boy; Liszt studied with Czerny, who was Beethoven’s pupil. Liszt transcribed Beethoven’s nine symphonies for solo piano – an extraordinary feat. Playing the transcriptions is even more of a feat; one of my piano teachers, Ronald Smith, recorded and regularly performed the transcription of Beethoven’s 7th Symphony. Leslie Howard has recorded all of them. Liszt performed Beethoven’s ‘Emperor’ Concerto in Paris, conducted by Berlioz, and performed it at the unveiling of the Beethoven monument in Bonn in 1845, where he also conducted Beethoven’s 5th Symphony. So this year I plan to look at music by Beethoven and by Liszt, and to look at Beethoven through Liszt’s eyes, and the eyes of others who knew him. The eyes have it. #BTHVN2020 – Open to View. The Chopin Museum in Poland is a pianist’s delight. 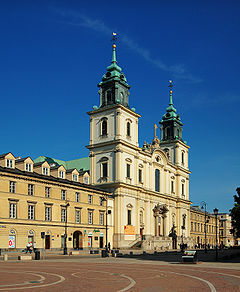 It has two locations; one at his birthplace at Zelazowa Wola, which I didn’t visit, and the other at the Ostrogski Palace in Warsaw, where I spent several hours. There, one can gaze at letters and visiting cards, schoolboy calligraphy, drawings, Chopin‘s Paris piano, notebooks, letters from contemporaries, personal belongings and much more. Above all, there are the manuscripts; it is fascinating to see the neat, carefully beamed demisemiquavers and stratospherically high leger lines in his early works, and the later scribblings and corrections in more mature works-in-progress, as if he were in a hurry to transcribe the music from his inner ear to the page. A quick view of both museums can be seen here. My eternal love for Chopin has been combined this year with a growing interest in the life and music of Ignace Paderewski, pianist, composer and statesman, who not only toured the world as a virtuoso pianist, but who also signed the 1919 Treaty of Versailles after WW1 as Poland’s Prime Minister. In September I performed music by Chopin and Paderewski at Highclere Castle, television’s ’Downton Abbey’, celebrating 100 years of Polish Independence. Earlier in the year, Ognisko Polskie, the Polish Hearth Club in London, formed by the British Government and the Polish government-in-exile in 1939, kindly invited me to perform Chopin and Paderewski’s music in a recital prior to a screening of the film Moonlight Sonata, in which Paderewski, appearing as himself, performs music by Beethoven, Liszt, Chopin, and his own Menuet Op 14 No 1. Everyone who learnt the piano in the early 20th century played that piece. My mother used to speak of my grandmother’s interpretation of it. 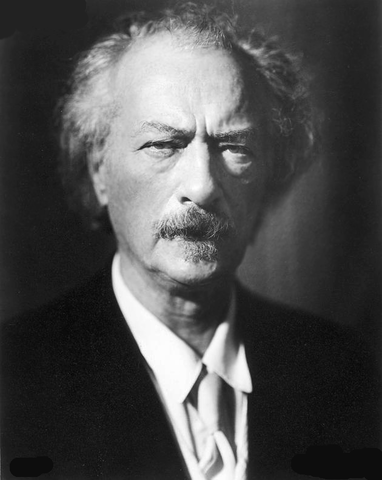 Family legend says that grandma heard Paderewski in a live concert. He toured Australia in 1904 and 1927 and I’ve always felt a connection with him because of that story. A generous philanthropist, Paderewski donated the proceeds of his two final concerts in Sydney and in Melbourne in 1927 to support the orphans of the ANZAC soldiers killed in Gallipoli. 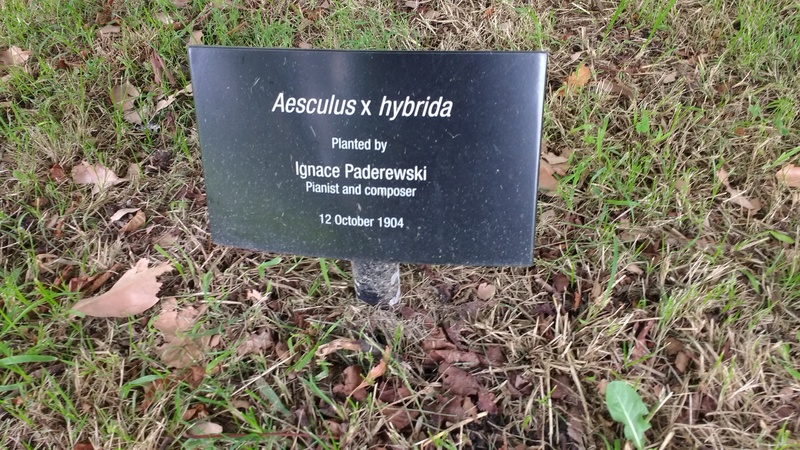 When in Melbourne in 1904, he planted a tree in the Royal Botanic Gardens near the Victorian College of the Arts where I studied; it seemed an appropriate gesture to celebrate this year‘s centenary of Polish Independence and my current blogpost theme, The Romantic Piano, by finding the tree. So, armed with a map of Melbourne’s Royal Botanic Gardens, I set off yesterday afternoon on my quest. Ah. 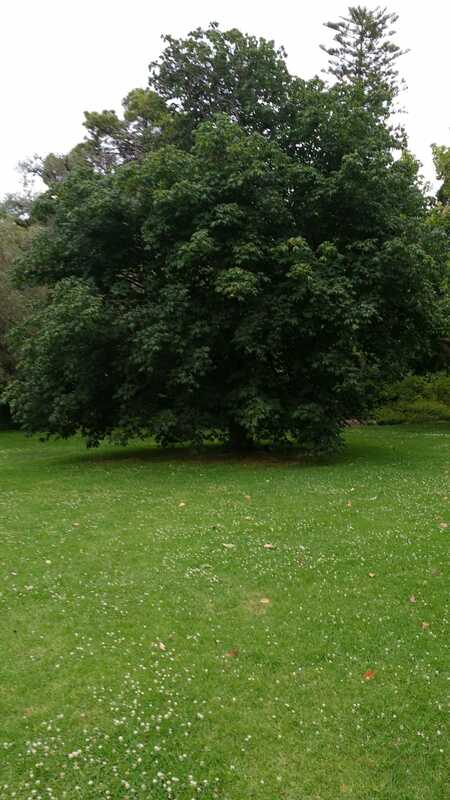 First, find the lawn … and what a lot of trees there are on said lawn … And what on earth does an Aesculus x hybrida look like … it must be fairly big now, 114 years old … scrabbling around beneath the low-lying branches to find the tree labels … no … no … no … YES! A true Eureka moment. The music critic in Brisbane’s newspaper The Telegraph wrote, on Friday 8 April 1927: ‘Paderewski plays all things magnificently, but there is a fragrance about his Chopin playing that will linger long in the memory of those privileged to hear it.’ Did grandma experience that? Who’s to know, but Paderewski’s tree still lingers on, bringing beauty to Melbourne’s Botanic Gardens, and perhaps fragrance, too. From Australia, a very Happy New Year to you all, wherever you are on the globe. ‘Where your treasure is, there will your heart be also’. These words, from St Matthew’s gospel, are the words on the pillar of the Church of the Holy Cross in Warsaw where Chopin’s heart is interred. A single red rose lay at the foot of the pillar on the day of our visit. Unlike our visit to Chopin’s grave in Paris some years ago, we managed to escape the crowds for a few minutes’ peace in this beautiful church. Smuggled into Warsaw by his sister Ludwicka after Chopin’s death in 1849, and preserved in a wax-sealed jar of cognac, Chopin’s heart remains a symbol of Polish identity, a precious, revered relic from one of Poland’s greatest sons. It was removed from the Church during the WWII Warsaw Uprising and given to the Auxiliary Bishop in Warsaw. 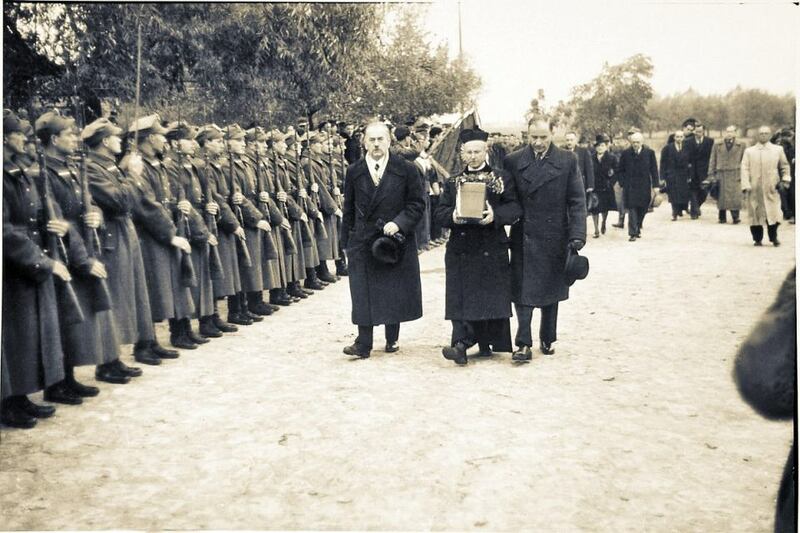 The photograph (right) shows its ceremonial return to the church in October 1945. But, as the 1945 photograph below shows, there wasn’t much of the church left to which it could be returned. Happily, the church is now fully restored. ”Fontana published the Mazurka in F Minor in an incomplete form in 1855 and his claim that the work was written on the composer’s death-bed and that the master was too ill to try it out at the keyboard is almost certainly without foundation. The notable Chopin scholar, Arthur Hedley, discovered the original manuscript in private possession in France in 1951. He made an on-the-spot reconstruction of a previously missing second episode in F major and several performances were given in this version. Subsequently the manuscript passed to Poland, resulting in a scholarly publication of the entire piece in 1965 which also prints a facsimile of the manuscript. Both Hedley’s 32-bar version of the F major section and this Polish edition’s 16 bars contain serious errors – though quite different ones. 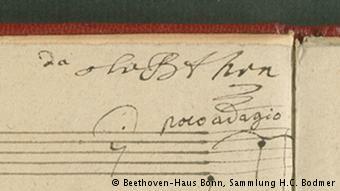 At first glance Chopin’s manuscript discloses little more than a riot of alterations often cramped into any available space, their continuity only indicated by a series of spidery pointers. You can’t get away from Chopin in Warsaw. There’s no escape – from the moment you set foot in the Arrivals Hall of Warsaw Chopin Airport to walking the streets of the Old Town where there are Chopin benches (push the button for a quick blast of some music), and many advertisements for Chopin recitals here, there, and everywhere. Nor would a pianist wish to escape. Chopin is the reason why we are here. So where to start? 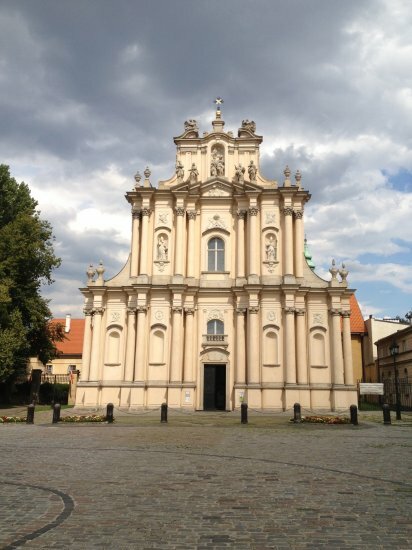 We began almost by accident, entering the first Baroque style church encountered on a walk near the Old Town. The Church of the Nuns of the Visitation escaped the devastation suffered by much of the city in WWII. Why is it significant? Because it was here that the fifteen year old Chopin played the organ each Sunday while a pupil at the Warsaw Lyceum. It’s easy to forget that Chopin was an organist as well as a pianist. 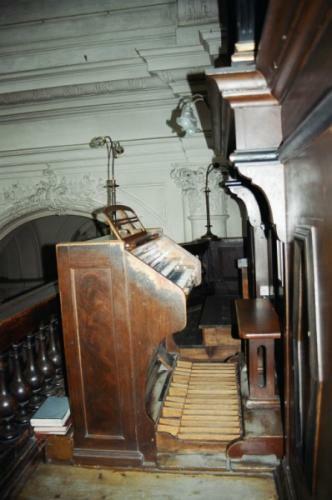 When he and George Sand were forced to move to the abandoned monastery in Valdemossa on the island of Majorca during the winter of 1838-1839, they expected to find an organ in the chapel; but no. The Carthusian monks are a silent order. The beautiful chorale-like section in the central part of Scherzo No 3, composed in the monastery where a Pleyel piano eventually was transported, is perhaps a moment of wishful thinking. 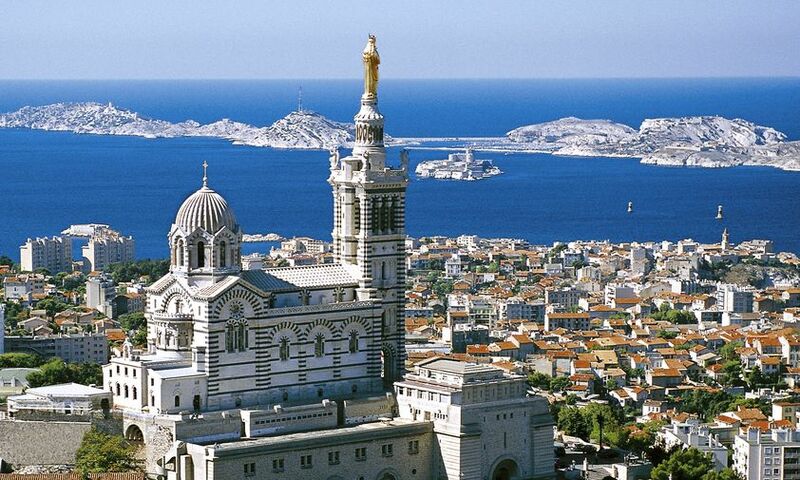 After leaving the island, very ill, Chopin convalesced in Barcelona; moving on to Marseilles, he played an arrangement of a Schubert lied on the organ at the funeral of the operatic tenor Adolphe Nourrit. Think, too, of the bass line of Chopin’s famous ‘Funeral March’, played on the organ of La Madeleine in Paris at his own funeral. In the piano version, the LH intones a solemn B flat, D flat, B flat, D flat etc. Now imagine that transcribed for organ, played by feet on the pedalboard. Left foot on B flat, right foot on D flat, left, right, left, right …. and the posssibility of a physically inspired origin of this grim march becomes apparent. Chopin’s love of fellow organist Bach’s music is well documented. A copy of the Preludes and Fugues for Clavier travelled with Chopin to Majorca. Chopin’s musical instruction at the Warsaw Conservatory included hours of lessons each week in counterpoint. The polyphonic episode in the 4th Ballade shows Chopin’s mastery of the technique. 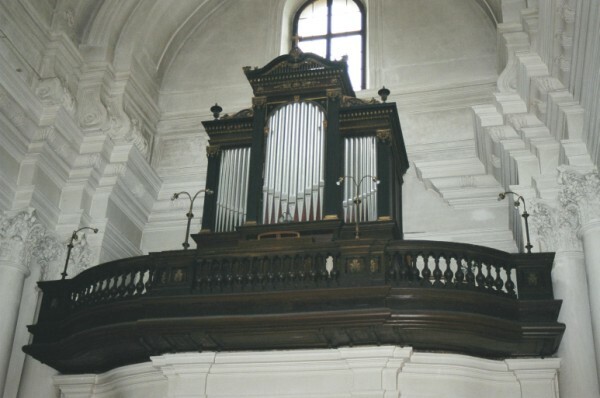 Below – Chopin’s Funeral March, played on the organ. Chopin’s four Scherzi are currently in my repertoire, each written at an interesting stage in the composer’s life. The genial fourth scherzo, Op 54, was composed during a summer spent at Nohant with Aurore Dudevant, better known as the writer George Sand; the third scherzo, again with George Sand present, was composed during the winter months of 1838-1839 in a deserted monastery on the island of Majorca. The confident second scherzo, Op 31 , dates from 1837 in Paris before George Sand was a part of Chopin’s life, and likewise the first Scherzo Op 20 pre-dates their relationship. I love them all, and they are very satisfying to perform as a set, each one with its own character. But I’ll admit to a penchant for the first scherzo, as it was the first ‘big’ piece of Chopin which I learnt as a teenager. And also, its beginnings are shrouded in mystery, so I find it intriguing. It was published in 1835 when Chopin was established in Paris, having arrived there in 1831. The dedicatee, Thomas Albrecht, was attaché to the Saxon diplomatic mission in Paris. But when and where was it composed? Like many early published works, it was written in advance of Chopin’s arrival and establishment as one of the French capital’s leading pianists. Publications followed Chopin’s success, in London, Paris and Leipzig, although interestingly Chopin’s Trio Op 9 was first published in London in 1830. It has been suggested that the first scherzo might date from 1830-1831. 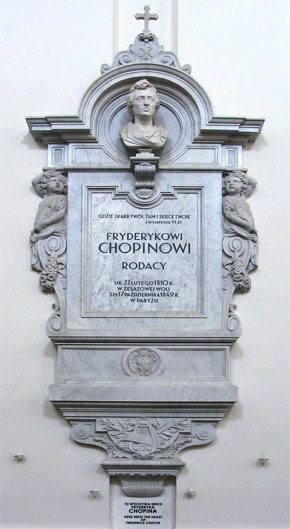 November 2 1830 marks the date of Chopin’s departure from Warsaw – never to return. 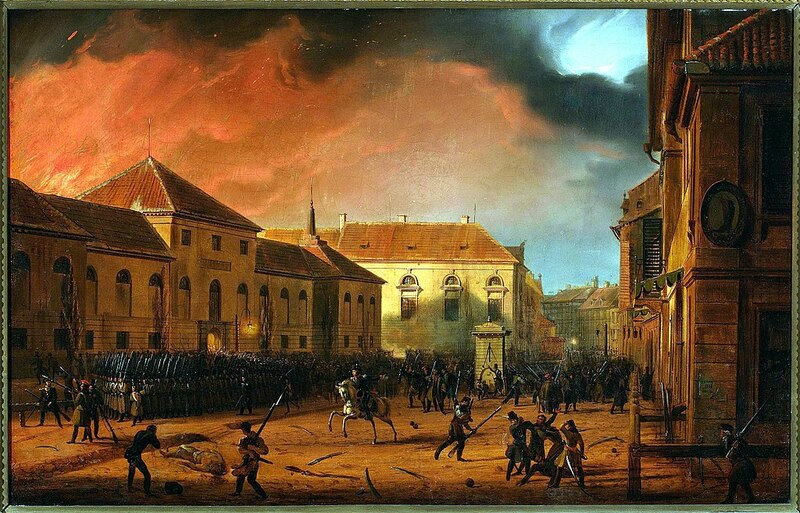 Later that month, the November Uprising erupted, an armed rebellion against Russian forces. Chopin learnt of this via letter; has friend Titus, who was travelling with him, turned back to Warsaw. 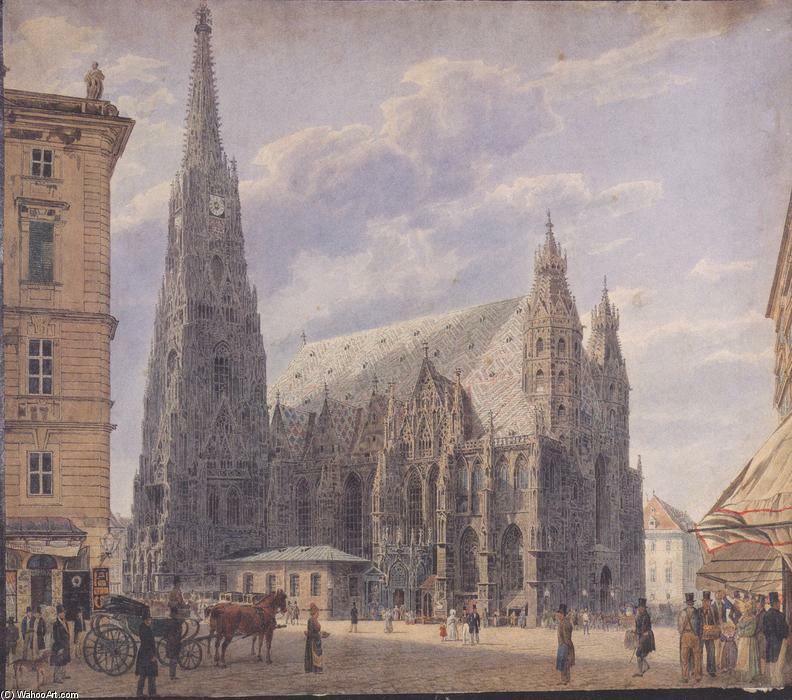 Chopin travelled on alone, spending Christmas in Vienna, wandering around St Stephen’s Cathedral (below). One wonders if that influenced the choice of a Polish Christmas carol as the basis for the peaceful central section. The open of the Scherzo is shocking – literally – two unexpected loud chords, like an unprovoked slap in the face, before the RH hurriedly claws it’s way up the piano in a repeated frenzy, the LH trying to check and restrain its impetuosity. Interludes of a more rhetorical nature, full of questioning and despair, alternate with the headlong rush, until all is calmed by the central section. But those two chords break in again and the frenzy is resumed. A final coda builds to a shattering climax, with an agonised chord pounded repeatedly before a chromatic scale rips up the piano to the final, emphatic chords. I’m in Warsaw as I write, soaking up Polish culture and immersing myself in Chopin’s life and times. More anon. 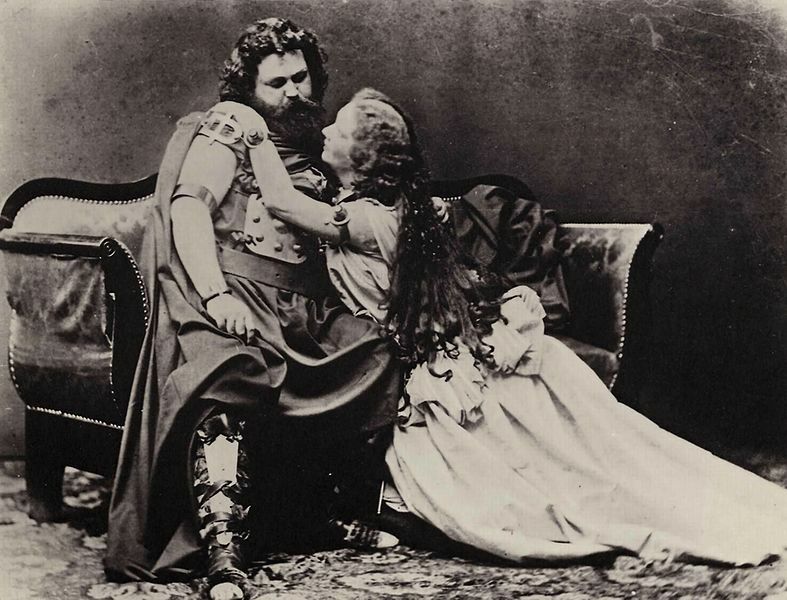 Following April 23rd’s post, written on the joint birthdays of Prokofiev and Shakespeare, today’s post is written on Richard Wagner’s birthday, and the piece is the Liebestod from his opera Tristan und Isolde, transcribed for the piano by Liszt. 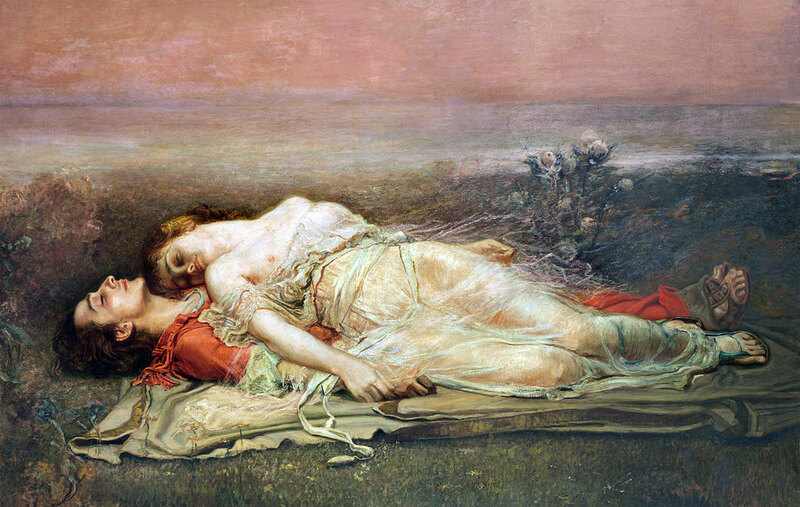 A double dose of the Romantic piano, both in subject matter and musical style, as the grieving but rapturous Isolde dies by the body of her beloved Tristan at the conclusion of Wagner’s opera, in a blaze of chromatic harmony. Liszt was an adept transcriber of other people’s music, including Berlioz’s Symphonie Fantastique in 1833 after its premiere in Paris, all of Beethoven’s Symphonies, Schubert songs, Bach cantata movements, instrumental pieces and countless operatic themes. Operatic fantasies and paraphrases tended to include original material as well as the opera’s best-known melodies, such as those found in the Rigoletto Paraphrase.But some transcriptions were almost verbatim adaptations for piano, and this is one of them. Liszt was a skilled orchestrator and conductor himself, honing his skills while Kappellmeister at the court of Carl Friedrich, Grand Duke of Weimar, from 1848-1861. 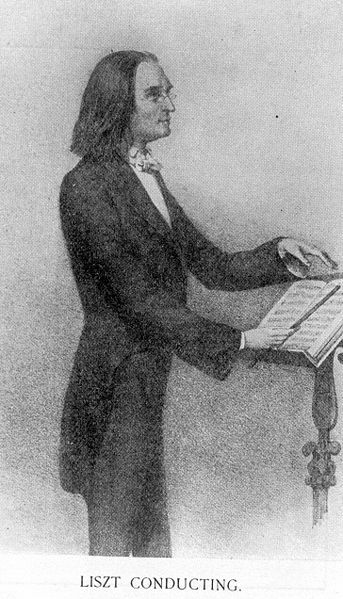 Not only that, but Liszt championed the music of Wagner, conducting numerous operatic performances; he knew Wagner’s style from the perspective of the composer’s orchestral soundworld. In the Liebestod transcription, Liszt translates Wagner’s shimmering strings and Isolde’s aria into quiet tremolandi for piano accompanying the soprano’s line, which is projected with a cantabile, singing touch amidst a swirling texture of quasi-polyphonic complexity. There are important counter-melodies to project, and chords to be voiced judiciously. The music gradually builds in a series of ever-impassioned sequences until a shattering, ecstatic climax engulfs us all, both the performer and audience. As a solo pianist confined to ten fingers, one can almost feel Liszt’s frustration as he strives to get the maximum sound from the instrument, with pounded chords in both hands trying desperately to emulate the sound of a huge orchestra playing at full strength. 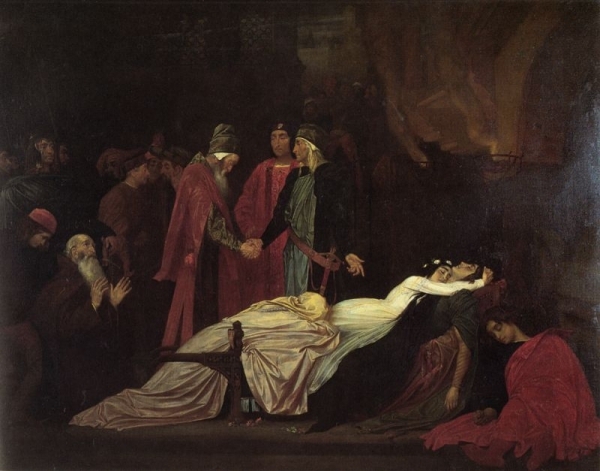 Slowly and gradually the music subsides into blissful exaltation as Isolde slips away to join her lover in death. Dare I point out, dear Liszt, that the final D sharp of the oboes in the penultimate bar really should be heard as a tie with all other instruments lifting briefly, as per the orchestral score? Try releasing all notes except a treble clef D sharp momentarily in between the final two bars, re-pedal, then play the last chord. Just a thought. Two performances to enjoy – Horowitz, and then Hamelin, where the score can be followed. We all know the story. We’ve seen the play, we’ve watched the film, we’ve studied it at school, we know the quotes … Shakespeare’s characters, Romeo and Juliet, the ‘star-cross’d lovers’, have provided musical inspiration for Berlioz’s symphonie dramatique of the same name, Tchaikowsky’s Overture-Fantasy, and Gounod’s opera. Prokofiev composed music for a ballet, and three orchestral suites derived from it; pianists are fortunate indeed to have Prokofiev’s arrangement of ten transcribed movements to enjoy. Today, 23 April, is Prokofiev’s birthday, and Shakespeare’s, so let’s celebrate some of those pieces as part of our exploration of The Romantic Piano. The chirpy, opening Folk Dance is unfailingly cheerful, with its compound time signature giving an attractive rhythmic buoyancy. Perhaps the best known excerpt in the UK, owing to its use as the theme for ‘The Apprentice’, is the Dance of the Knights. This is a swashbuckling piece, driven, full of energy, with a contrasting middle section which needs a well measured, calmer pace. It’s worth listening to the original orchestration to absorb some of the feeling for orchestral colour which is transcribed to the piano. And on YouTube, enjoy the even lusher orchestral colours in the ballet from which it is derived, in the 1955 film of the ballet . And there are five more pieces to explore, easily found on YouTube and on disc. Just the thing for a joint birthday celebration. Enjoy!